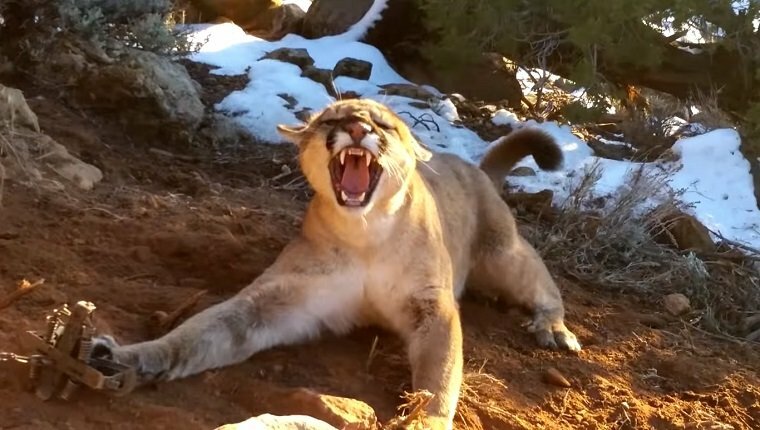 If you’re ready for an adrenaline rush, you probably won’t be disappointed by a video of a Division of Wildlife Resources (DWR) conservation officer releasing a huge mountain lion from a hunter’s trap in the Pine Valley Mountains of Utah. Officer Mark Ekins was called by a local trapper who found a mountain lion in his trap set for smaller predators like bobcats or coyotes. Ekins and the trapper worked together with catch poles to pin the cougar to the ground and stretch it out so that Ekins could safely get to the trap, all while dodging the claws and jaws of one of the biggest cats he’s ever had to release in his career. 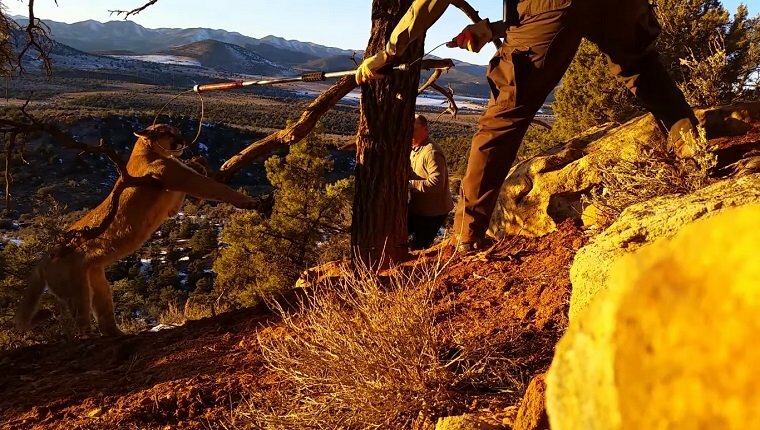 He managed to get the cat free, and after resting for a few moments, the mountain lion ran off, eventually shaking loose the catch pole around its neck. 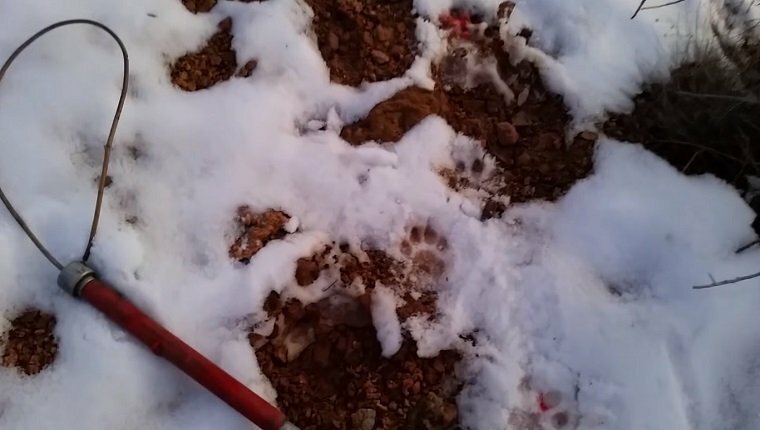 While trappers are an important part of controlling the smaller predator population in the area, it is illegal to trap a mountain lion, and trappers are required to report it within 48 hours. They are encouraged to get help from the DWR rather than risk harming the animal. Ekins normally uses tranquilizers, but they are sometimes unavailable when he is called to remote areas. Luckily, his experience and respect for the danger he was in kept him sharp and allowed him to help get the cougar free. Big cats are an important part of the ecosystem, and it’s great that they have someone like Ekins to look out for them. Were you nervous for Ekins while watching the video? Did your heart skip a beat? Let us know in the comments below!